Whether your summer has been mostly restful or full of work and study, you can take advantage of Mexico’s proximity if you want to get in at least a short trip before your next college term begins. Your driving trip requires that you carry valid Mexican insurance for Tucson, Arizona. With online options, your Mexican auto insurance for Tucson policy comaparison is simple to research to select quality coverage. In fact, you can even take care of your Mexican car insurance for Tucson Arizona drivers policy from your tablet or smartphone. The government typically monitors safety conditions in foreign countries, which makes it possible for you to do some preliminary evaluation of your destination. As a college student, however, you should consider some measures to avoid dangerous situations regardless of your destination. For example, solo travel to Mexico can make you somewhat vulnerable, especially if you do any night driving. It is best to go as part of a group to ensure that there are others at hand to help if you have medical problems, car trouble, or an accident. Your Mexican insurance for Tucson coverage provides support services in some of these situations. For example, your Mexican auto insurance for Tucson policy hotline allows you to initiate towing or other vehicle support actions based on your being stranded. Your Mexican insurance for Tucson Arizona also offers protection for legal situations related to a wreck. 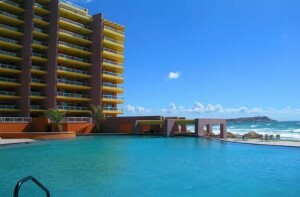 You should be aware of certain limitations with your Mexican insurance for Tucson. For example, your coverage could be voided because of illegal driving activities such as driving while intoxicated. You can also invalidate your coverage if an ineligible driver is behind the wheel at the time of a wreck. Don’t let anyone under the age of 21 drive your vehicle. Further, all drivers under your policy must be properly licensed. Off-road exploration might seem attractive. However, an accident in this type of situation could cost you dearly in that your coverage is not valid for off-road activity. If you will be towing, you must add a towed item to your Mexican car insurance for Tucson to be legally protected in case of an accident while towing. Mexican insurance is a must in Mexico. This country offers great opportunities to indulge in different beach resorts and discover its historical landmarks. Great sports are everywhere in Mexico. Even summer and holiday fun activities, they’re available to perk up people’s recreation.